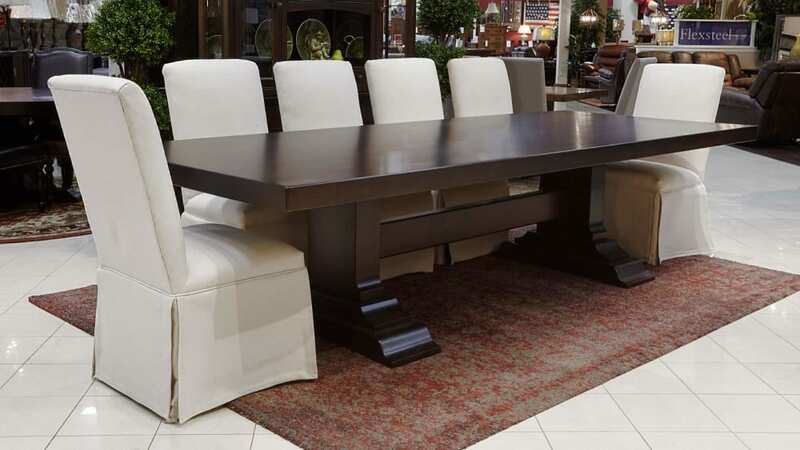 Solid cherry wood sustainably sourced and responsibly harvested from American Forests, is used for the table. The Westminster Skirted Parson Side Chair built using solid American maple wood brings an elegant simplicity that only a full skirted dining chair upholstered in a beautiful cream colored fabric can. The brilliant result is a stylish, comfortable chair that adds a distinctive cultured charm to your dining room when paired with the distinguished Hunstville table.